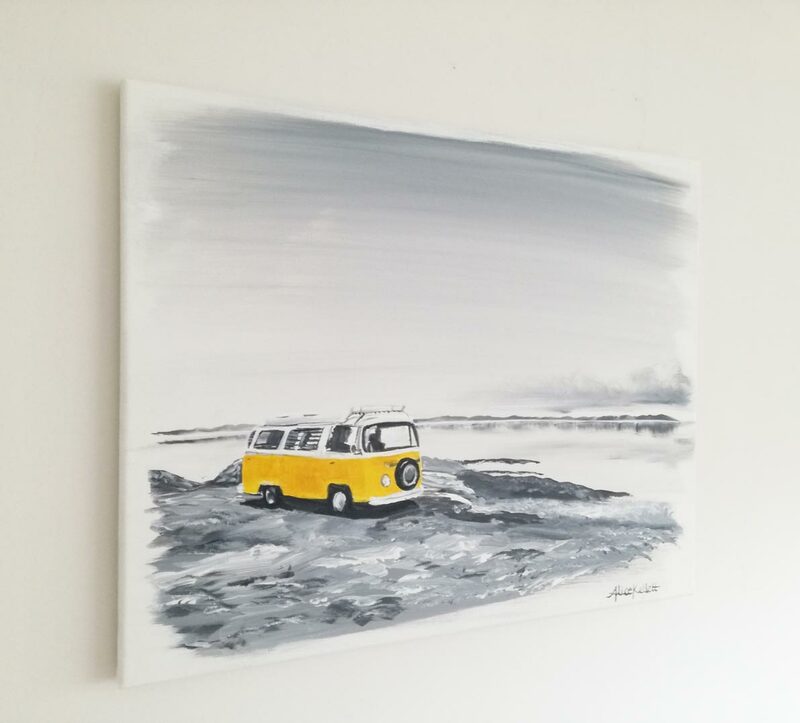 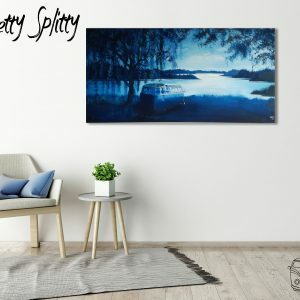 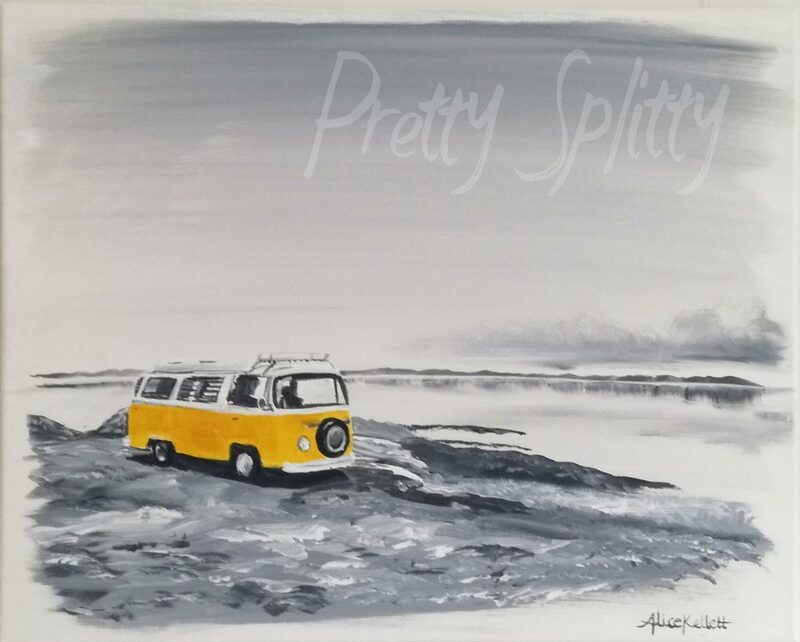 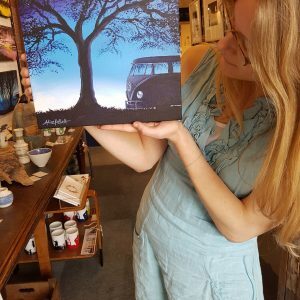 ‘Sunshine’ depicts a beautiful bay window camper van resting by the waters edge after a long drive. 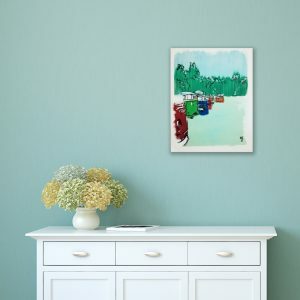 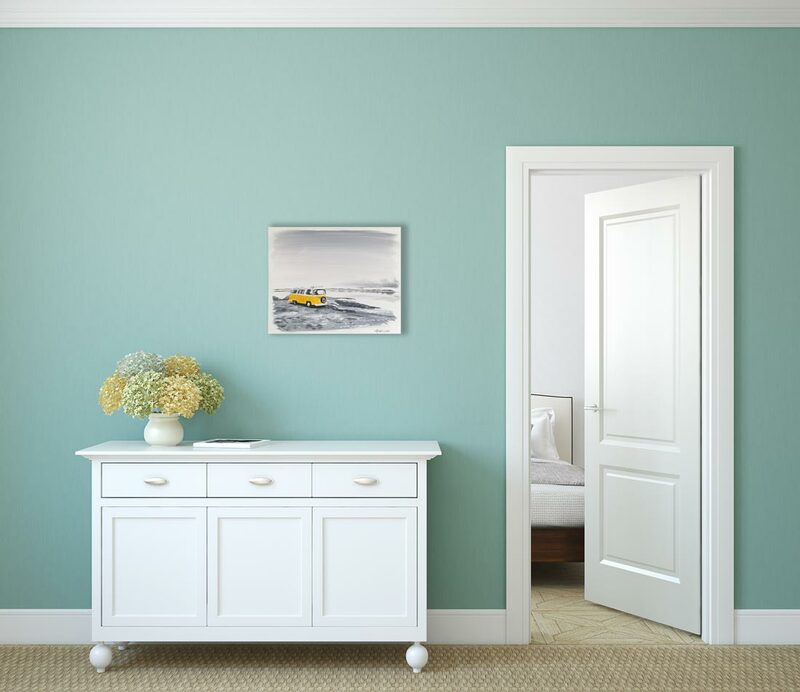 The monochrome background highlights the brightly coloured T2 and makes it the focus of this minimal calming piece. 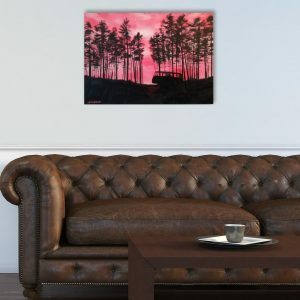 A wonderful one-off piece that would suit any room of the house.